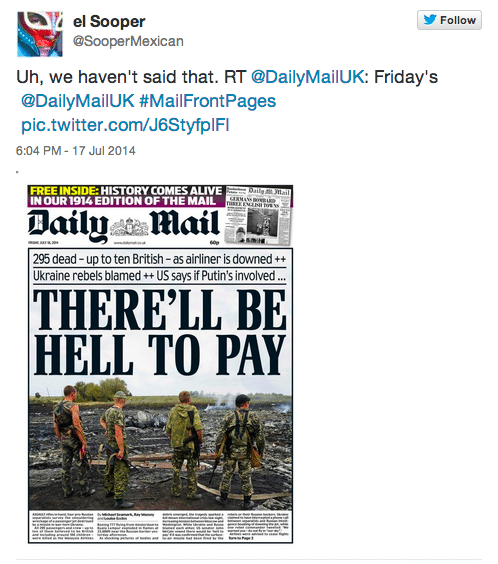 Should we be concerned with the media’s coverage of MH17? 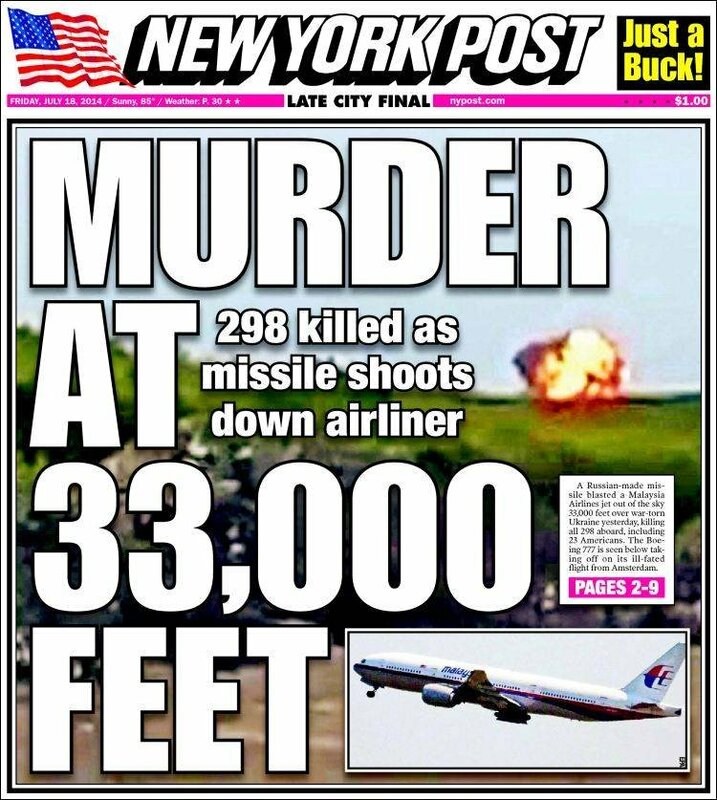 In the days since the downing of Malaysia Airlines MH17, the media has been surprisingly hawkish about insisting that sanctions and action against Russia be taken out as it has come to deem it to be solely responsible or at the very least complicit in the horror of 298 individuals being blown out of the sky. An editorial edict that ought to leave many of us disconcerted and wondering why? That said before one can make an appraisal of what ought to happen next (and there is indeed circumstantial evidence that does point to separatist involvement), we ought to attempt to understand the tensions that exist in the region, the struggle that had been simmering prior to the downing of MH17 and who stands to gain or lose if sanctions are forced and if Russia is compelled to back off on a war which in many instances is really a proxy war between European and US economic interests. The events of last Thursday have unwittingly served the interests of the Ukrainian government which has since seen escalating calls for disengagement and now calls for economic sanctions against its enemy, Russia, whilst at the same time, the Ukraine has quietly going about its business of killing civilians, literally hours after the downing of MH17, whilst the majority of the media conveniently looks away. Perhaps not too coincidentally, few questions have been asked what complicity the Ukraine may hold in the crises, if it too escalated tensions in the region by continuing to assert violence despite calls for unilateral ceasefire at the end of June, prior to Thursday’s downing of MH17. Not surprisingly any effort by Russia’s Vladimir Putin not to turn the tragedy of MH17 into a political context grab for spoils have immediately been nullified by the media as absurdist fantasies and cynical posturing by the leader whilst at the same time one could easily argue the West’s very own complicity and involvement in the financing of terror and combat, in such regions as Gaza, Palestine, leave it to nefarious interpretation. Yet what may be going on in with the Gaza strip pales with what continues to go inside Iraq, Afghanistan, Pakistan and other hotbed districts that the US and the West have sought to infiltrate for ulterior purposes, namely the control and acquisition of resources, something that Russia who has much to offer in terms of resources has been warily watching for many years now. Never mind the Western media’s disregard of cronyism, corruption and usurption of rights that takes place in various parts of Africa, Sierra Leone, Nigeria, Somalia, regions which have spend the better parts of centuries and decades under the impressive control of European hegemony. 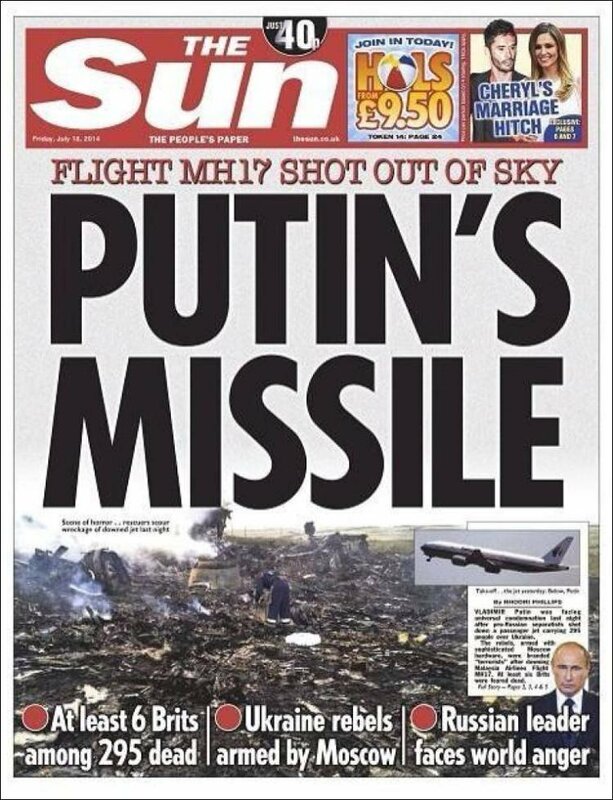 Yet if the Western media is doing little to offer an even handed analysis of Russia’s involvement with MH17, Russia’s own media has also come to profoundly fail as well. Sadly state owned media has seen the continuation of innuendo, deflection, denial and at times reluctance to even acknowledge the crises. Of disconcert to Putin is his own ability to continue to reckon with Russian Interior Ministry, various oligarchs who hold sway in the homeland and how long he can continue to convince Russians despite economic gloom that he is indeed their savior and uniter? 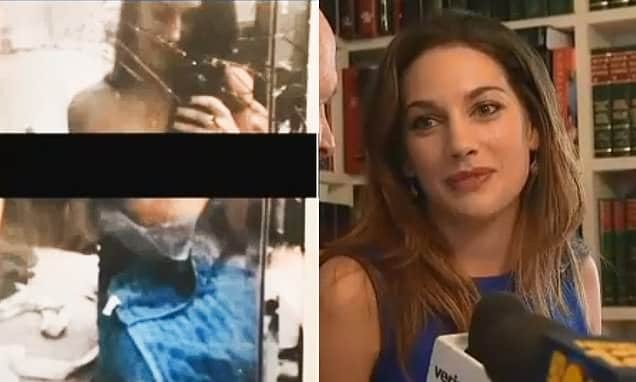 With the pressing dilemma of how to swiftly address the downing of MH17, who to hold accountable, how to collect all evidence, return bodies to their respective families, concern has come to the fore that separatists may be seeking to hide evidence, of how passengers exactly came to die, whilst in the air or coming to the ground as they continue to drag their feet. 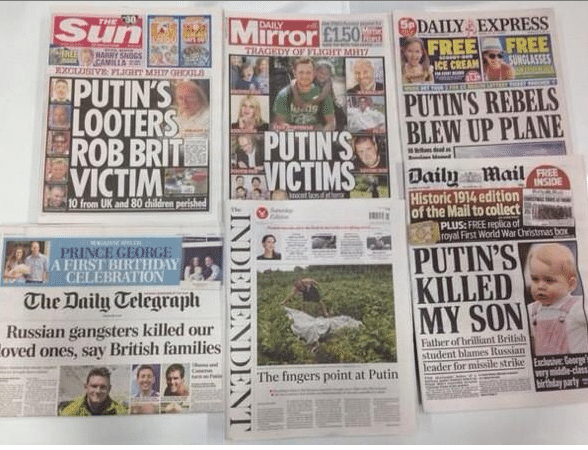 But it’s the the headlines used by various media outlets that ought to cause us to wonder about the degree of bias and desire to beat down Vladimir Putin’s into a kind of submission as he is headline after headline being portrayed as an instigator, a henchman figure who kills children for joy and a facilitator of ruthless covert action. To date few media outlets are willing to admit the downing of MH17 was more likely the result of human error, a case of mistaken identity given the fact that separatists gain zero leverage killing Western civilians, or the admittance that Putin himself may not have as much control as he would like us all to believe over separatists in as much as Iraq’s Saddam Hussein and Osama Bin Laden, both well funded US puppets came to behave outside of US directives. Which raises the awkward question why has this suddenly become an issue of Russia’s economy and not an issue of unresolved tensions between the West and Russia, a proxy war being fought on behalf of the west and Russia on Ukrainian turf, and how did the west come to politicize the incident as an act of aggression on behalf of Russia when they are just as culpable of acts of aggression the world over? What remains to be seen is whether Russia’s Vladimir Putin will make concessions that the West feels emboldened to demand or whether in fact he will in the end choose to call their bluff?